A boyscouts group from Hamburg, where Michel Hannessen (In the middle) was the Leader, on the last day of their trip to Porugal and Spain, where they had been hiking, singing, cooking our meals over the fire, sleeping out in the open in the Peneda Geres Nationalpark, in the north of Portugal, and the area around the border to Spain during four weeks. They all were so exhausted by that time and had lost most of their body fat, but happy to go back to home country. They have spent 5 years in this constellation, they have meetings every week, going on trips every month. sometimes 3 Days sometimes 10. They started at the age of 9 or 10 and Michel got to watch them grow up. Every year during the summer holidays they do a 3 to 4 week long tour through different parts of europe (sweden, poland, france, montenegro and Portugal). No Electricity, no roofs, just fire, a tent and a guitar. They spent a lot of our youth together and became friends that way. The trip to Portugal was the final to Michel. The boys now are ready to start their own group and four of them are already preparing for it. 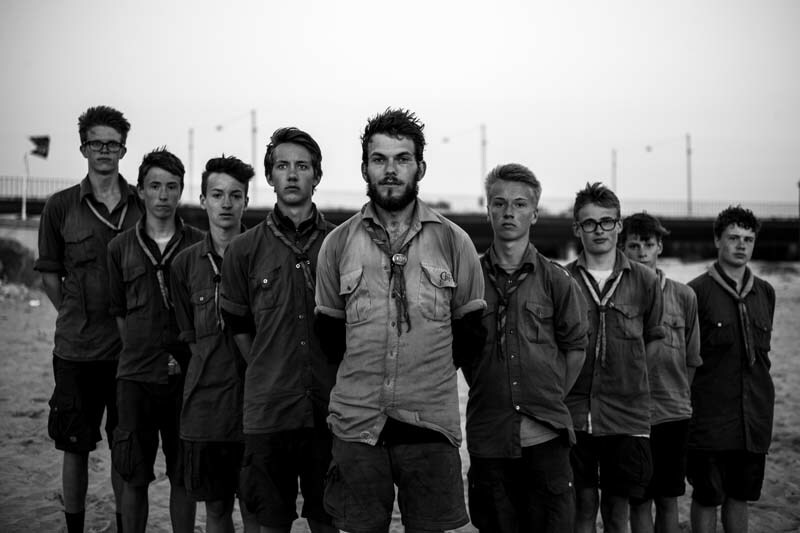 Their names are (left to right) Nik Herzog, Oscar Hofmann, Linus Ohlen, Faber Bruhn, Michel Hannessen, Lasse Cornelius, Jan Schütze, Josh Grashoff and Dominik Kre.